Cancer remains the second-leading cause of death in the United States. This year, an estimated 1.7 million new cases will be diagnosed, with nearly 610,000 people expected to die from the disease, according to the National Cancer Institute. Fortunately, several recent cancer treatments show considerable promise. 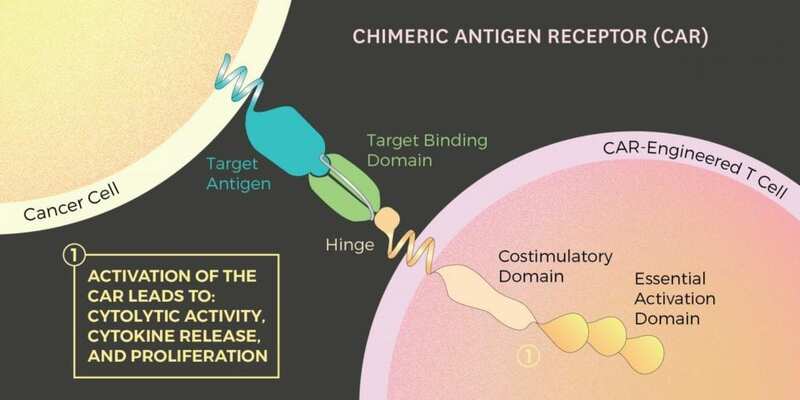 Among them is Chimeric Antigen Receptor (CAR) T cell therapy, which the American Society of Clinical Oncology recently named the "2018 Advance of the Year." Three USC Viterbi School of Engineering researchers – Assistant Professor Stacey Finley, Professor Pin Wang and Assistant Professor Nick Graham – have just published a paper in "Biophysical Journal" that sheds light on how this new treatment works, information that could one day result in better cancer therapies with fewer side effects. "We're trying to dig into the molecular mechanisms," said Graham, an assistant professor of chemical engineering and materials science. "By understanding how the CAR T cells work, we could try to design better ones." When the immune system functions normally, immune cells move around the body and look for pathogens that don't belong and kill them. However, cancer cells can mask themselves, making it harder for the good cells, such as T cells, to kill them. With CAR T cell therapy, a person's T cells are removed, genetically engineered with proteins, and then injected back into the patient. The resulting CAR T cells are much better at fighting cancer cells. That's because these modified CAR T cells have an engineered protein receptor, the CAR, that can bind to cancer cells. When this occurs, a signal from the CAR tells the T cell to begin destroying the cancer by secreting the chemicals perforin and granzyme. "I think what's most exciting is that we're really adding to the field an understanding of which sites on the CAR are becoming phosphorylated, how quickly that happens and the amount of phosphorylation of each site," said Finley, the Gordon S. Marshall Early Career Chair and assistant professor of biomedical engineering, chemical engineering and materials science and biological sciences. Through their research, Finley, Wang and Graham have learned when and how much phosphorylation occurs on the CAR's six sites, which, in an imperfect analogy, could be imagined as "docking hubs," in Graham's words. Additionally, they have found that no "gatekeeper" exists, meaning that no single CAR site must be phosphorylated before the others. Until now, scholars only had a general idea about the phosphorylation process, making it difficult to bioengineer CAR T cells that could successfully fight against complex and complicated breast, lung and other solid-tumor cancers. "Once we have these tools and quantitative models, we should be able to apply them to a variety of different designs of CARs," said Finley, whose research group has an expertise in mathematical models. "Maybe you could use a model, before you do an experiment, to see if this new design would work. Instead of having to do as many tedious experiments in the lab, you could build a predictive mathematical model to screen the best design." Added Wang, the Zohrab A. Kaprielian Fellow in Engineering and professor of chemical engineering and materials science, and biomedical engineering: "If you want to make the T cells more potent, the question is how best to design the CAR. That's our research's goal, I think."